The last time I saw my mother I wasn’t willing to say goodbye. She spent her last years in a nursing home because her body was slowly dying from MS. It was January; I had taken time off after the holidays and driven with my three boys from New Jersey to Cape Cod specifically to see her. I knew she wasn’t well. Nursing homes are not my favorite place, but this was my Mom’s home now and so we walked the gilded hallways, passing somber faces, trying to share a smile, a little comfort with those who lived and worked there. We watched a DVD together, a musical tribute Andre Rieu had done, his warmth and bliss for his work evident. It made the music magical, it made our day brighter, it was one of the last earthly memories we shared together. Saying our goodbyes I watched as each of my children in their own special way said farewell. My oldest son had a special bond with my Mom; she always said he was the child she never had. He leaned forward and placed his forehead to hers and they looked into each other’s eyes, no words. It was breath taking. We were both right, she passed away eight days later. I did not see her again in the physical world, but since have seen her in my dreams, lovely and whole and walking again. She assures me she is always with me, watching over me and I assure her that I miss her, and yet I know in my heart that the bonds of love, especially that of mother and child are never broken. 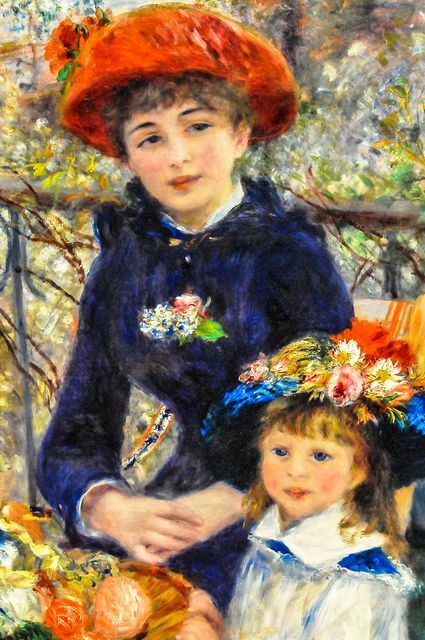 This entry was posted in spiritual and tagged Afterlife, Andre Rieu, Bonds of love, Cape Cod, Dreams, Mom, Mother's Day, MS, Renoir. Bookmark the permalink.